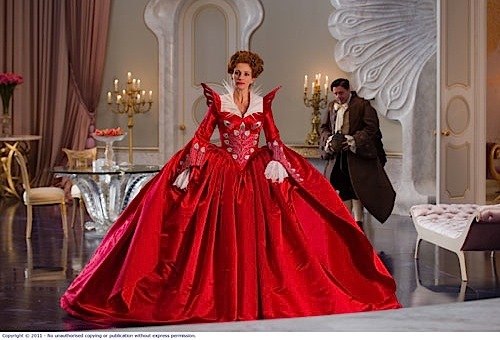 "MIRROR MIRROR is a fantasy full of humour, spectacular costumes and an enchanting cast." 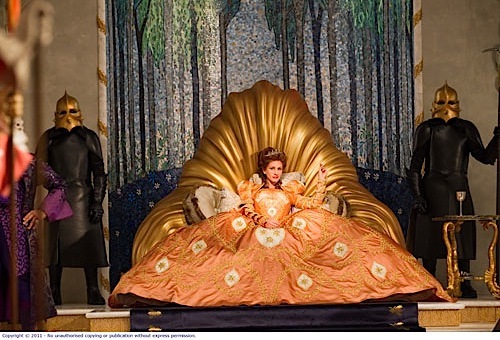 The costumes are outrageously imaginative, the humour kept coming and the set design is exquisite. Of course Julia Roberts is funny, charismatic and beautiful. And Lily Collins and Armie Hammer are 'strangely' how I imagine Snow and her Prince to be. Armie Hammer is an fascinating actor, he previously played both Winklevoss brothers in The Social Diary. I was smiling... but then there was an "out of the blue' Bollywood moment - and that was hilarious. 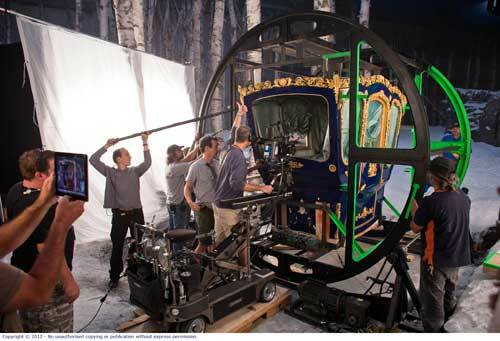 I particularly like the scene where the Queen has a beauty treatment. The Queen's assistant, Nathan Lane, who I remember from The Bird Cage as the boyfriend of Robin William's character and The Baker, Mare Winningham, who I remember as the girlfriend of Rob Lowe's character in St Elmo's Fire. 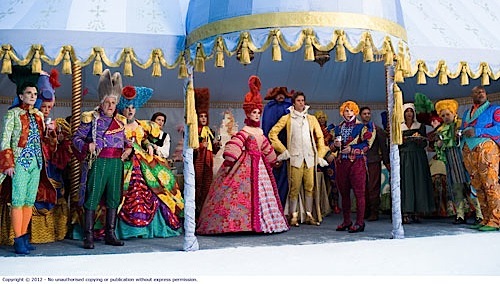 Lily Collin's vocals are incorporated in the song at the end, the entire cast is involved in the performance as well as over 200 extras.